perfect voice in every language! Due to our new recording studio we can produce independently since june 2015 and therefore we are able to satisfy your requirements at short notice and individually! 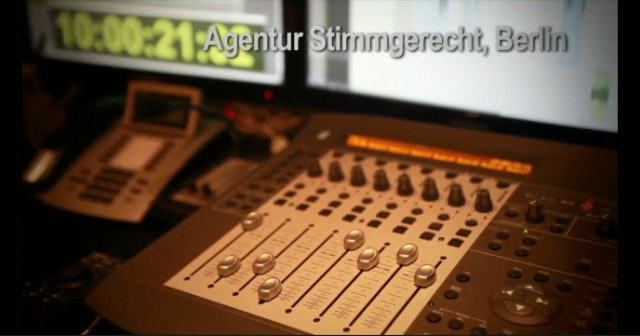 We hope our two recording studios with a familiar atmosphere in Berlin appeals to you. We are looking forward to your visit! Enjoy a look around our webpage!